Free Standing Straight Wire Panel Linear Kit - 2000mm (H) x 1000mm (W). Measurements show maximum recommended graphic area. 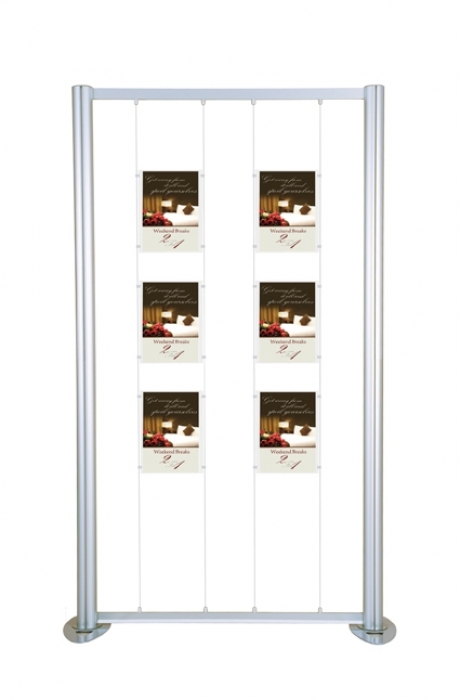 Linear display kits are ideal for all types of promotions, exhibitions or semi-permanent displays. As the kits are modular, they can be added to and reconfigured for multiple use.